Best of three rounds. Ding ding, seconds out. 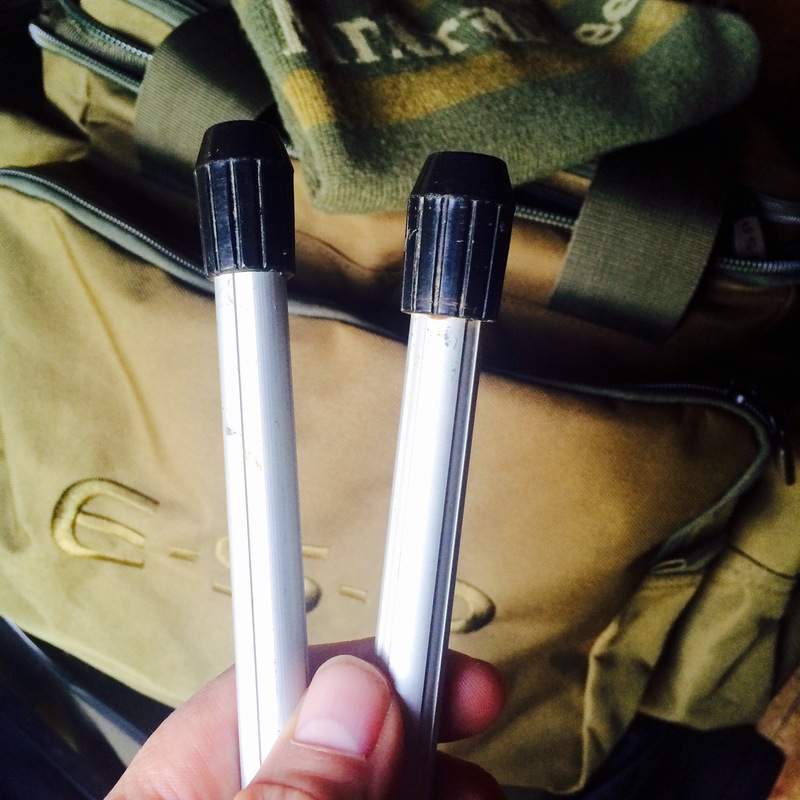 Functionality – both are straight bank sticks, both black, both have a coloured top which can take an isotope. Korda does win on the isotope housing, some funky grooves on the stick plus the end point that looks like something out of Thunderbirds. Korda takes the first round. Record – both have a loyal following and offer the carp angler almost everything. But Fox has the edge with rods, reels, luggage and the like, so you can be well and truly brand loyal. Fox takes second round. Price – wallop !! Knock out blow by Fox (£8.99), Korda is on the deck (£59.99). Even with the extras on Korda the price is out of whack. Fox takes the third and the bout. But still, could this least offering from Korda be a hit? We are all collectors and tackle tarts to a degree but I think these sticks are a bit over priced. Avid and Cygnet offer something similar with their own twist and bend on the humble stick. I hope this Korda offering is not the thin edge of the wedge when the trendy marketeers move in on a pastime and make it fashionable for the hipsters, producing the same stuff but at inflated prices all be it with a slight product edge over the competition. The resulting surge of interest could see already long syndicate waiting lists grow and with more pressure on day ticket venues you’ll be lucky to get your bank sticks out without tripping over someone else’s or mine, pictured.